How to set system images (path?) when creating an Android AVD? -k --package : Package path of the system image for this AVD (e.g. 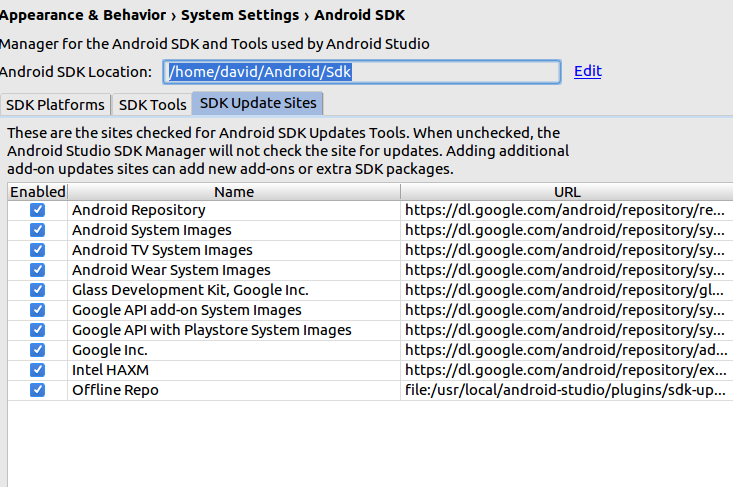 david@david-Virtual-Machine:~/projects/test-test$ android create avd --package "system-images;android-25;google-apis;x86" --name "foo"
Pay attention that android is deprecated. Use avdmanager. and then create the avd using: avdmanager -v create avd -n x86 -k "system-images;android-25;google_apis;x86" -g "google_apis". You have to put package path with semicolons. avdmanager create avd -k "system-images;android-16;google_apis;x86"
and put all other options that you require. avdmanager create avd --package "android-25" --name "foo"
Not the answer you're looking for? Browse other questions tagged android cordova sdk or ask your own question.